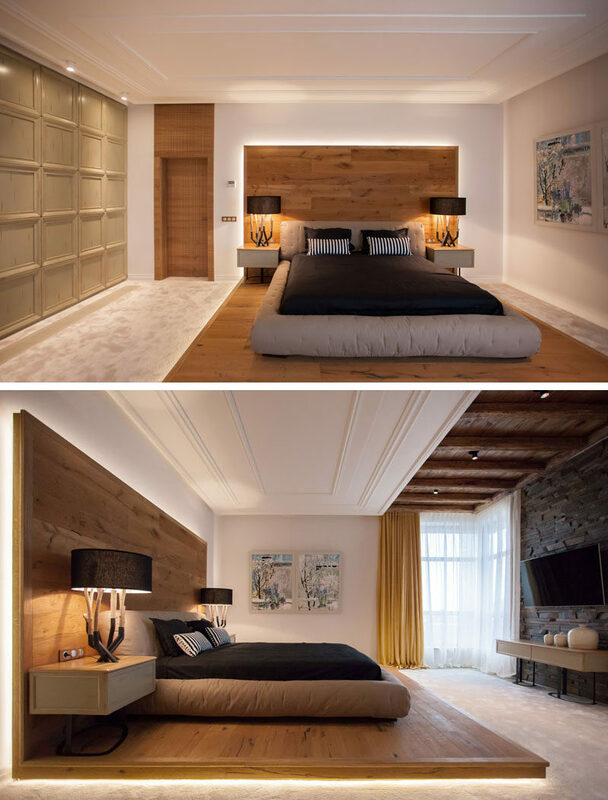 When OM Architecture were designing the interiors of a modern house in Kiev, Ukraine, they wanted to create a chalet inspired interior, and one way they did this was in the bedroom where they incorporated warm wood into the room. In the bedroom, the sleeping area was defined by raising the bed and positioning it on a wood platform. 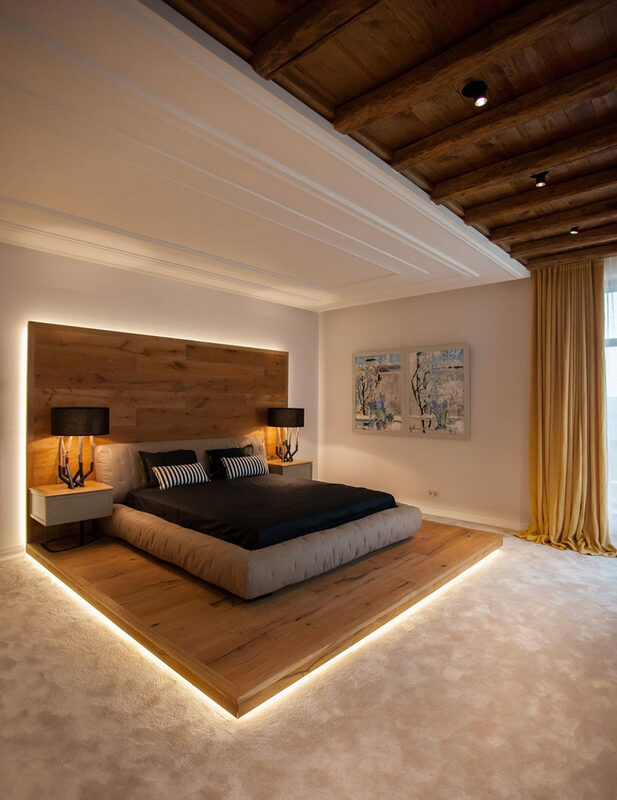 To highlight the wood platform that wraps from the floor to the wall, hidden lighting was installed around the edges.